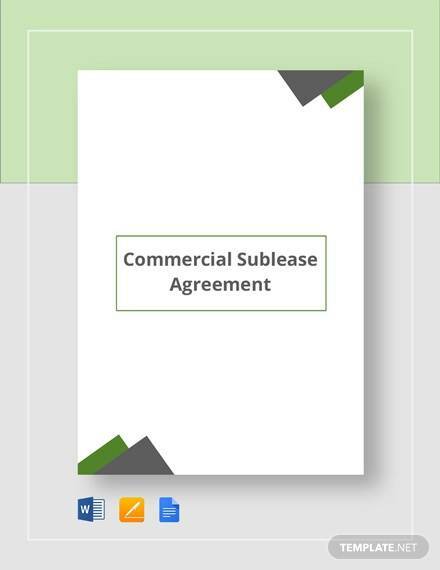 Commercial sublease agreement is a contract between the existing tenant giving right of ownership of a commercial area and a designated authority for a certain duration of time. It maybe the owner or any authorized person who holds the responsibility of that area. At times we need to move our office space or business site, and instead of buying that area, we tend to take it on lease for a specific time. 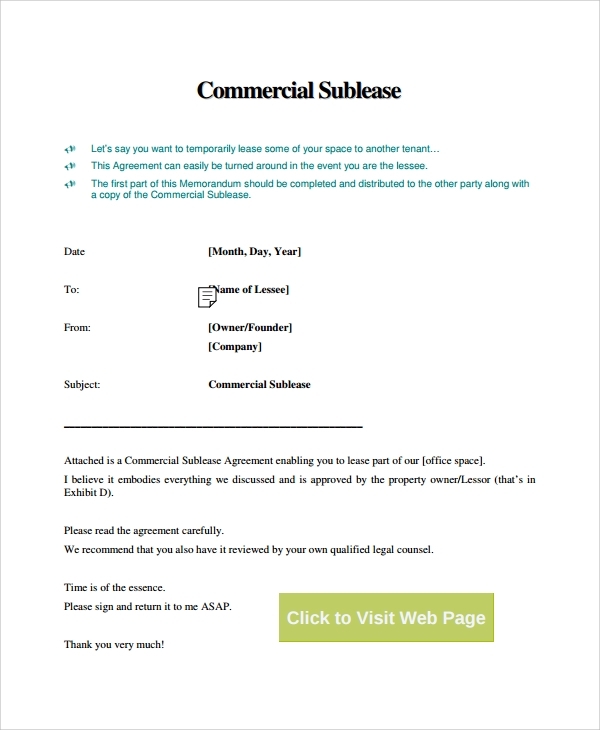 This commercial sublease agreement is that legal document which gives right of ownership to the business person for setting up his place of work in that area. 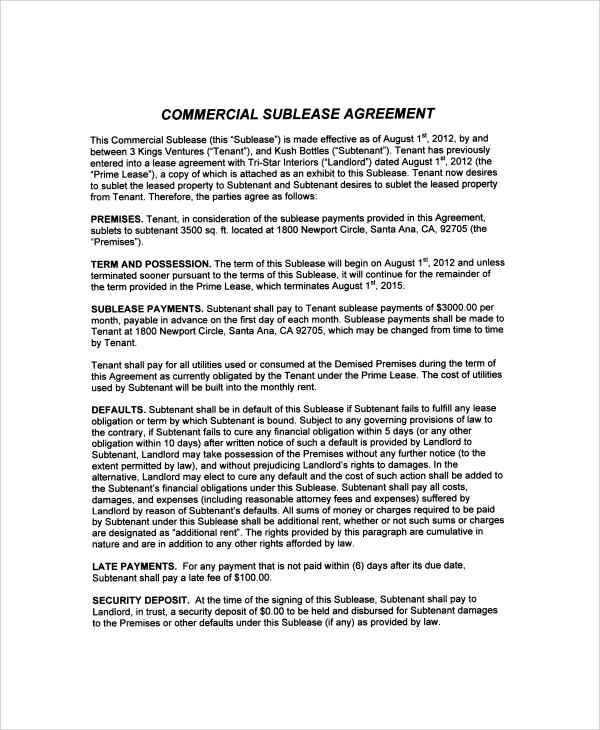 You can also see Lease Agreements. 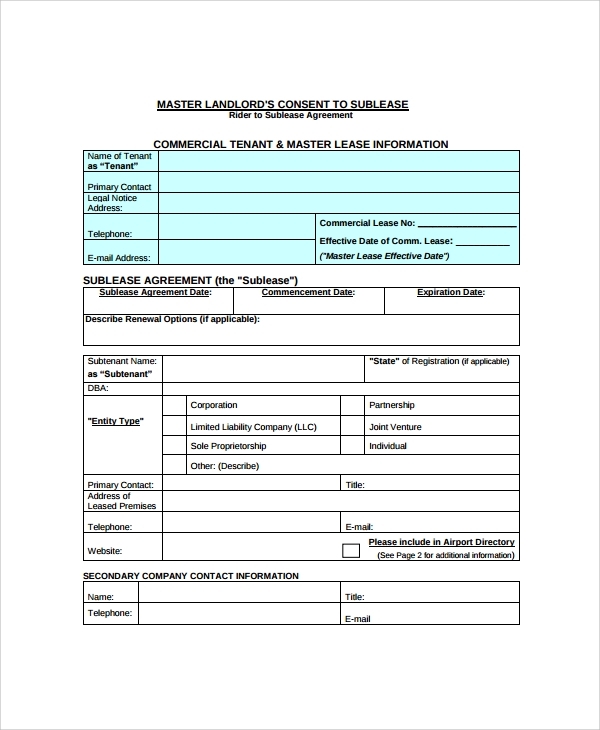 It has signatures and address details of the owner and tenant. The starting and ending date of the lease, rent per month, utilities provided and the insurance of that area are all a part of this agreement. 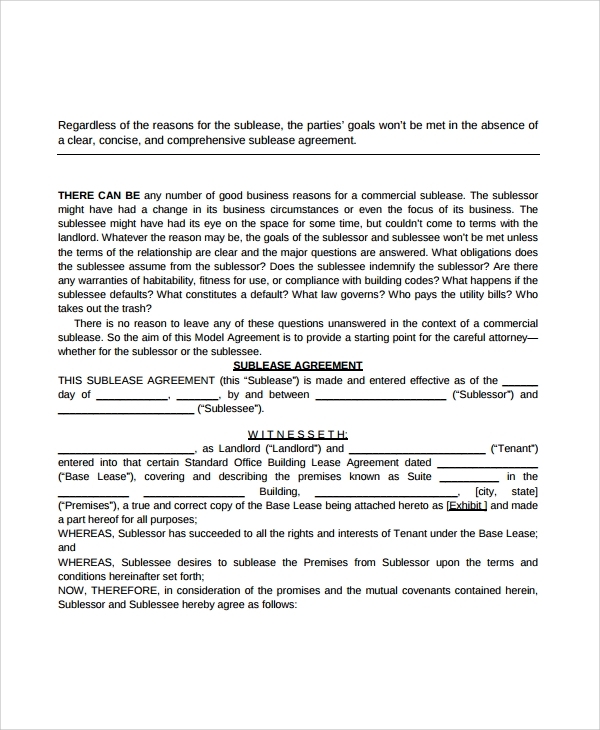 A witness is also required when both the tenant and landlord sign the agreement making it a legal document. 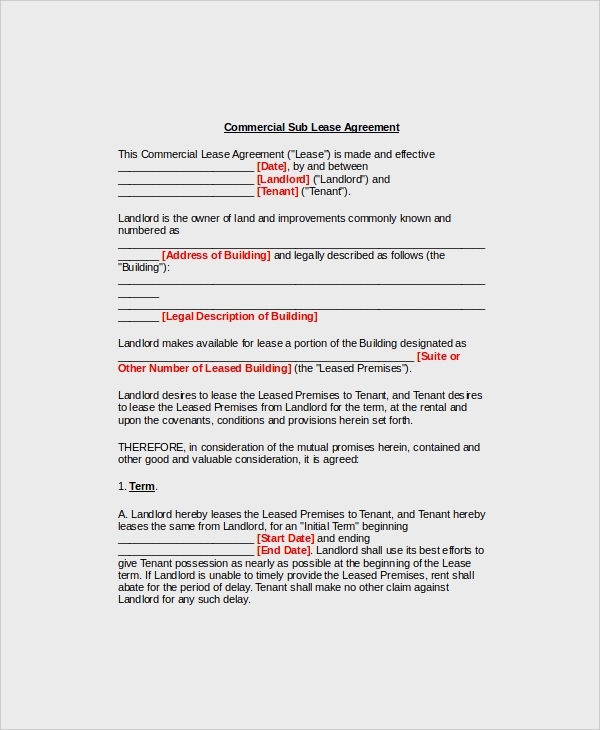 In this document, the tenant allows the company to walk into the premises by following certain terms and conditions. These apply to both the owner of that area as well as the signing authority. Certain security money is deposited and without prior letter, the agreement can’t be terminated. 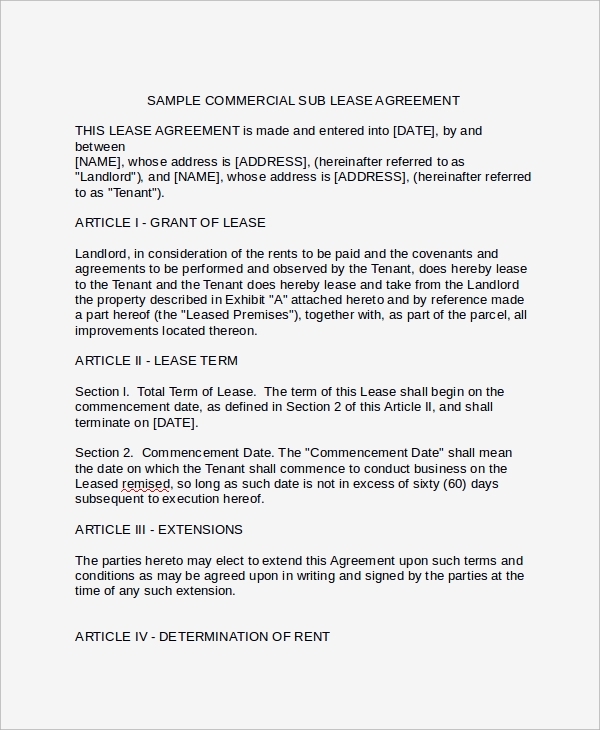 You can also see Property Lease Agreements. 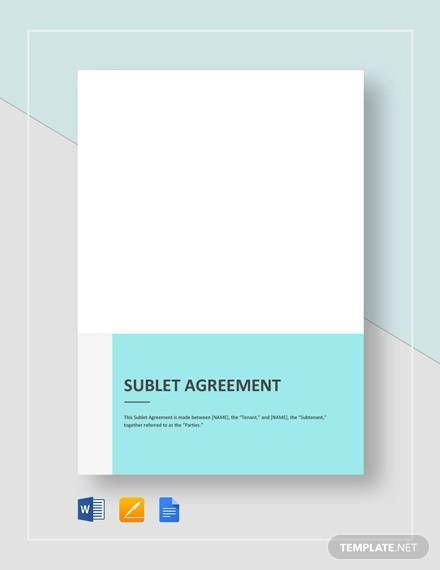 These agreements are categorized into 2 types i.e. fixed duration and automatic renewal. Also the fixed duration lease is further sub categorized into fixed date, fixed weeks, fixed months and fixed year lease which means after that time the agreement will end on its own. The rent and the terms and conditions remain as per the owner. 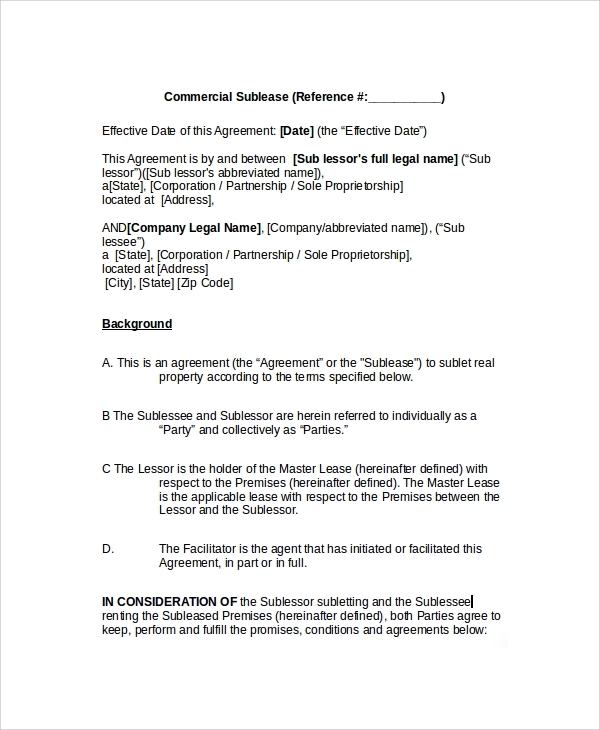 It is a simple agreement in which the owner and a witness sign with their respective details. 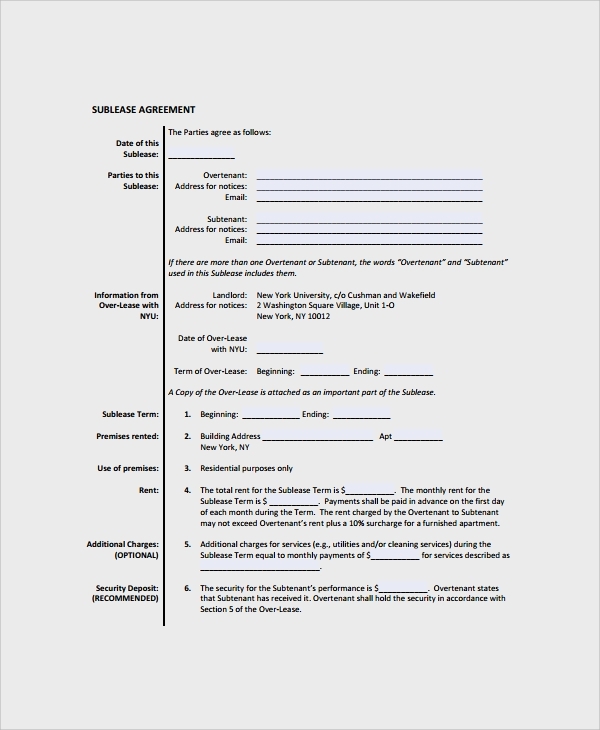 It is basically a form having all the details regarding the agreement. It witnesses constraints form where it declares that the owner is giving this specific area to this tenant. 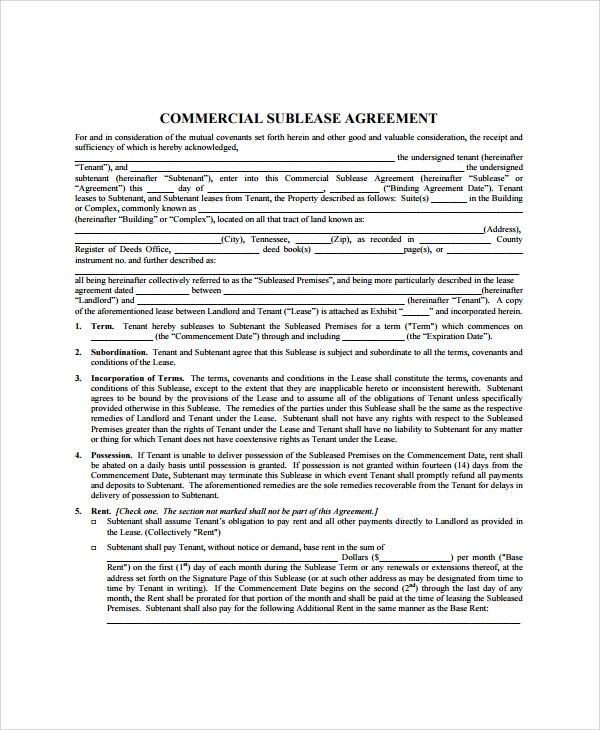 The best thing about using such templates/forms/agreements is that they act as a legal piece of paper giving authority to the designated person. It helps in systematizing the process of leasing. The process is clear and till the tenant owns the lease, he possesses tenant rights and so even the owner cannot interfere in his matters until and unless he breaks any of the clause. Having a lease gives the ownership to the tenant and he also gets tax benefits. Even inflation won’t affect the monthly rent because the rent remains same during the entire duration of the lease. By leasing, the ownership lies with the owner but even the tenant get the rights of ownership till he has the lease. By leasing, even the initial capital investment is less. Even the risk factors are less in leasing as there is easy transferability after the end of lease period. These documents can be easily challenged in court if the owner or tenant tries to misbehave with each other in any matter of aspect during the lease. And the best part about leasing is that the flow of money continues in the market and so, leasing does not disturb the market scenario in any way. You can also see Hunting Lease Agreements. Leasing agreements are the best way to either shift the ownership from the right owner or sub lease your work space to any business initiate. We have all such documents prepared for all the categories, specifically designed by the experts with no errors. In case you have your own terms and conditions, such documents can be easily made and delivered within the decided time, as time is the real money.